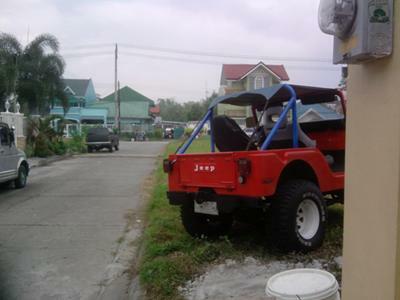 Living in the Philippines with the high cost of petroleum products is the main reason my CJ6 Jeep was converted to a diesel engine. The engine is a 2L-TE Turbo Toyota Engine. It is very reliable, economical (mileage wise) and very useful in towing other vehicles of more than 3,500 kg. as tested. 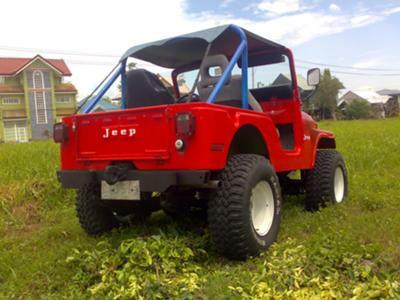 The 4-wheel drive is fully functional even though the engine was converted from gasoline engine to diesel engine. Larry's Comment: Rolly...are you using a Toyota transmission and transfer case as well..or is the rest of the drive-train original Jeep? Also, was the Toyota diesel conversion difficult? Thanks! Angeles City is 10-miles from Mt. Pinatubo and Mt. Pinatubo erupted in 1990 which is closely located near the previous Clark Air Force Base (the U.S. Air Force base is the biggest base overseas of the United States overseas, at least it used to be to my knowledge). Tourist from all over the world visit this volcano every year, and the only mode of transportation is by a 4-wheel drive vehicle like the Jeep or on foot if you want to trail for about 6-hours to reach that destination to get a good view of the mountain from the top. Diesel fuel here cost P42.00 pesos/per liter (Philippine Currency)/$1.00=P43.40 peso. Gasoline cost P54.00 pesos per liter. (1-gallon is 4-liters, I think to my knowledge. Back to the Jeep, a power steering is also installed which is working great. The roll bars on it are no longer original, and I am planning to install the right size roll bars or bigger (in diameter). Can you tell me what's the original diameter of the roll bars on a 1975 CJ6? Thanks in advance. My friend from Italy saw the Jeep when he was here in P.I. for vacation and he's asking me if he can buy my Jeep, and I told him it's not for sale...haha. I am a U.S. military retiree and I have been to Texas (San Antonio/Lackland AFB) and have been to California, Nevada, Hawaii and overseas during my years of active duty. Now, my future plan is to buy another Jeep from the U.S. and ship it to the Philippines, or at least use it for a while there in the U.S. prior to being able to ship it here in P.I. (financial wise). As Jan from Norway mentioned the task of being able to ship a vehicle from U.S. to Norway, and the Philippines is the same way as far as taxes is concern. 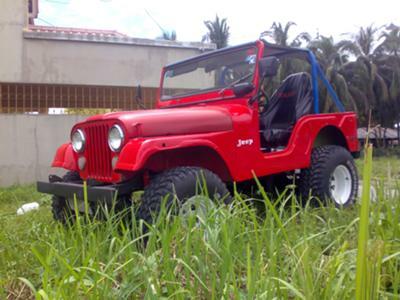 Rolly has informed me that his CJ6 has been sold...but not forgotten.